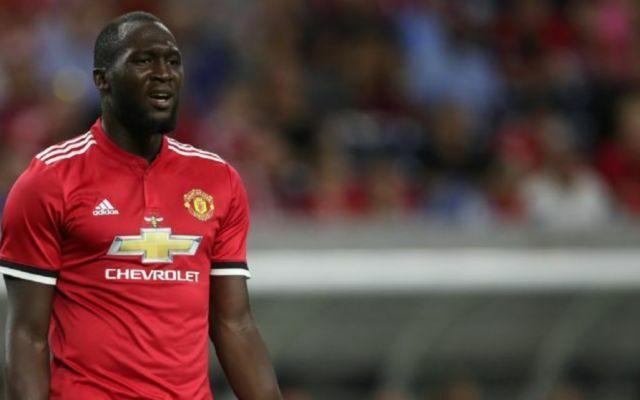 Kick It Out have reportedly contacted Man Utd in a bid to convince them to get their supporters to stop singing a chant made for Romelu Lukaku. The Belgian international secured a move to Old Trafford this past summer, and has wasted little time in establishing himself as a fan favourite with seven goals in seven games in all competitions. To show their support, sections of the Man Utd support have come up with a new song for him, as seen in the tweet below, which is their take on the Stone Roses hit Made of Stone. Manchester United fans new chant for Romelu Lukaku pic.twitter.com/XBtkLCUsri ? It was initially heard as he scored in the Champions League game against Basel, but evidently it’s caught on and was repeated on Sunday in the win over Everton. However, Kick It out are not happy. Regardless of the jovial manner in which the song was created and sung, they still believe that any type of racial stereotype, regardless of the way it is used, is not acceptable and have called on the Red Devils to take action and stop fans from continuing to sing it. “Racist stereotypes are never acceptable, irrespective of any intention to show support for a player,” said Kick It Out, as reported by BBC Sport. “We have contacted Manchester United regarding the issue and will be working closely with them and the Football Association to ensure that it is addressed swiftly,” said a Kick It Out spokesperson. It’s added that BBC have contacted United for comment, and so it remains to be seen what action they take moving forward to avoid this from becoming a bigger issue.